When you want to know where to go and what to see in New York, consult this guide to New York sightseeing. This list of great places for sightseeing NY has some of the top places to see from all across the state. See The Spectacular Views Of The Manhattan Skyline! Classic Harbor Line offers great tours in the New York Harbor, where you get to see the amazing Manhattan skyline and its beautiful sceneries. You also get to appreciate the architecture of the city and see fascinating locations and historic landmarks. 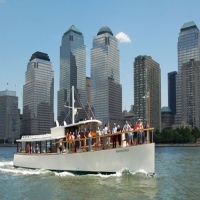 With a lot of themes on the tour offered by Classic Harbor Line such as the Around Manhattan tour, Narrated cruise, tour to lower Manhattan and a full day cruise, Classic Harbor Line can offer a theme that fits to your liking. So whenever you're in New York, you can always see the spectacular places in the city through Classic Harbor Line cruise. It's a great way of sightseeing the beauty in New York! A Great way To See The Statue Of Liberty! 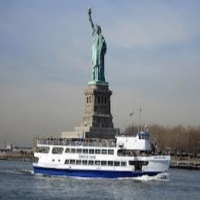 Statue Cruises offers exclusive access to the Statue of Liberty and a great way to enjoy the amazing scenery of New York. It is a perfect way to go sightseeing on a cruise, where you get to see a picturesque view of the New York skyline. Visiting New York wouldn't be complete without going to the Statue of Liberty. So make your reservations today and enjoy the amazing cruise to Liberty Island and see Lady Liberty herself. Water Taxi in New York! What better way to see New York than with its famous water taxi? It's a great way to go sightseeing to the amazing landmarks of New York City. See the dazzling skyline and the beautiful Brooklyn Bridge and its magnificent structure. New York Water Taxi is a great way to commute in the waters of New York, where you get to appreciate the city more and just see the masterpieces of New York's architecture. 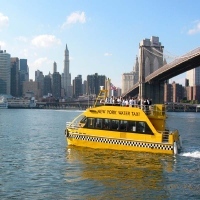 So enjoy your trip to New York and cruise around with New York Water Taxi for a memorable and a wonderful experience. Strolling And Relaxing At McCarren Park! 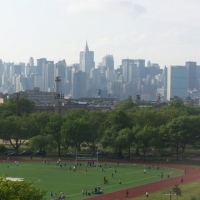 McCarren Park is a place where you get to enjoy the outdoors and spend time appreciating nature and the fresh air. You can come sightseeing and enjoy watching people play soccer, baseball, basketball or tennis. You can also join them in playing outdoor sports. So come to McCarren Park and have a break from the hustles and bustles of New York and rest and let your mind wonder. The park is open to the public, anyone who wishes to come is more than welcome. 1 Pass To See Over 80 Of New York's Best Attractions! 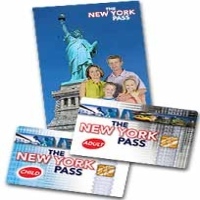 New York Pass is a smart card which allows you completely cash free entry to over 80 New York tourist attractions. Visit famous tourist attractions such as The Statue of Liberty, Circle Line Cruises, The Empire State Building and many more. One advantage of having New York Pass is that you don't have to wait in line just to see the places and you also get to save up to $500 depending on what New York Pass card you availed. Sightseeing in New York has never been more convenient with a New York Pass on hand. 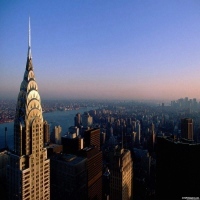 So avail New York Pass today and enjoy the perks and advantages when touring New York's best attractions. Sailing In New York City! Manhattan By Sail offers some of the best sightseeing experiences in New York City, where you get to ride on a classic sail boat and sail away through the waters of New York. You get to see the amazing skylines of Manhattan and the Statue Of Liberty. 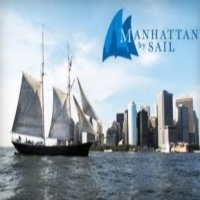 Manhattan By Sail is an experience where you get to know what New York is and be amazed by what the city has to offer. So make your reservations today at Manhattan By Sail and sail away through the vast waters of New York to see the spectacular views. A Spectacular View From The Chrysler Building! Built in 1930, the Chrysler Building is one of the famous landmarks in New York City and one of the most visited tourist spots. It is a property acquired by Tishman Speyer in 1998 and it underwent major renovations and improvement. Today, the Chrysler Building offers a 360 unparalleled view of New York City and its surroundings. Also you get to see a closer look of Time Square, East River and Central Park. So visit the Chrysler Building today and see the beautiful architecture and appreciate the art-deco design of the building. Amazing Panoramic View Of New York! 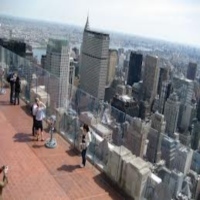 Top of the Rock Observation Deck at Rockefeller center is a place great for sightseeing. With its dramatic panoramic view of New York City, you will surely enjoy the stunning view. The scenery at Top of the Rock Observation Deck is always perfect whether it is day or night. It is one of the most beautiful places to be in New York. You can feel the energy of the city and its lively atmosphere. It is a place where you get to know what the meaning of New York is. Appreciation Of Beauty At The Metropolitan Museum of Art! One of the largest museums in America, where it stores about 2 million works of art in its permanent collection. A great place for sightseeing and enjoying the beauty of the works of art from different cultures of early centuries and the present. It is a great place to visit with your family and just enjoy the spectacular works of art and the marvelous design of the museum. The museum open's every Tuesday to Sunday where the hours of operation are from 9:30 Am to 5:30 Pm with exceptions on Friday and Saturday where it opens from 9:30 Am to 9 Pm. 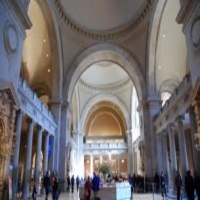 So visit The Metropolitan Museum of Art today and enjoy the great works of art. A Fun and Entertaining Place Called Central Park Zoo! Central Park Zoo is great for family fun and a place where you get to see rare and amazing animals. 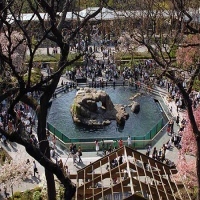 A great place for sightseeing, Central Park Zoo offers many activities such as Penguin feeding, Sea Lion feeding, and up-close photography of rare and exotic animals from around the world. The zoo opens daily with its operating hours from 10 Am to 5 Pm on Monday to Friday and 10 Am to 5:30 Pm on weekends and holidays. During the winter the operating hours are from 10 Am to 4:30 Pm. So whenever you're in New York, remember to visit Central Park Zoo, where you get to see amazing and beautiful animals. Wonderful Day At Congress Park! A perfect place for sightseeing here in New York, Congress Park is where you can relax and enjoy the great scenery and appreciate the beauty of nature. You can enjoy your day here by having a picnic, strolling or just have great quality time with the whole family. Visit Congress Park today and see for yourself the beauty of nature and the amazing sites to see. A Beautiful Day For Sightseeing In Saratoga Spa State Park! Come to Saratoga Spa State Park and have a wonderful day with your family. The park is a great place to have fun and to enjoy some great times. Such activities you can do in the park are doing biking, strolling, swimming at the pool, or just visiting their museum and learn more about the automobiles and dancing. 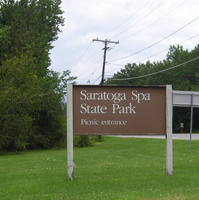 Visit Saratoga Spa State Park and have yourself a wonderful experience where you can enjoy the fresh air and a peaceful environment. Strolling Along Cobbs Hill Park! 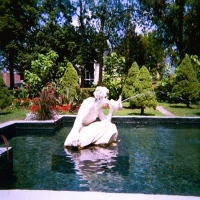 Come to Cobbs Hill Park where you can enjoy a wonderful day and have a great time sightseeing and doing some fun activities in their recreational area. 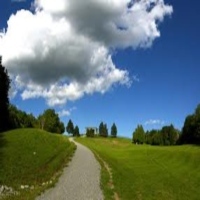 The park has a basketball court, tennis court, a great hiking trail, and a perfect scenic area. With so much to do in this wonderful park, you will definitely enjoy your day and will want to come back for more. A perfect place here in New York, Cobbs Hill Park is a great place where you can really enjoy and have a great time. Fun Things To Do In Durand Eastman Park! 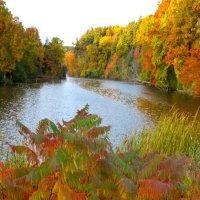 Visit Durand Eastman Park and enjoy the great scenery and the fresh air. With lots of things to do in this wonderful park, Durand Eastman Park offers all the fun and enjoyment for everyone to enjoy. Durand Eastman Park is definitely a perfect place for sightseeing and for hiking. You will simply be amazed by what you see inside the park. Come to Durand Eastman Park today and bring your friends or family along for some amazing time together. 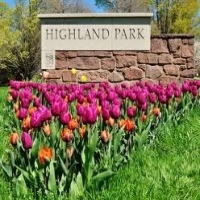 Visit Highland Park and enjoy sightseeing and hiking in this amazing park. Perfect for family outings or hanging out with friends, Highland Park is where you can enjoy peace and quiet and appreciate the wonders of nature. There are a lot of fun things to do inside the park. Such includes hiking, picnics, basketball, softball and many more. So come to Highland Park and have yourself a fun and memorable experience where you are having a great time. A Wonderful Day At Olana State Historic Site! Come to Olana State Historic Site and appreciate the beauty and splendors of this magnificent place. 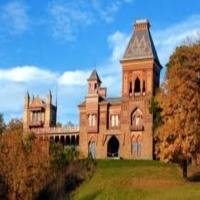 Perfect for sightseeing and a great place for a family outing, Olana State Historic Site will simply make your day a fun and memorable experience where you can enjoy the fresh air and the scenic views. Let Olana State Historic Site be your place of choice in having fun and enjoyment here in New York. Enjoy nature and the great outdoors here in New York and come to Adirondack Wild, a great place for sightseeing and for having outdoor activities with the whole family or among a group of friends. 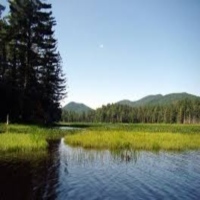 Adirondack Wild offers to provide the best scenery and some breath taking landscape of New York. Come and make Adirondack Wild your dream paradise. You will surely enjoy your pleasurable stay in this natural environment. A Wonderful Balloon Ride With Champagne Balloon Adventures! Come to 1000 island and have yourself the ride of your life. 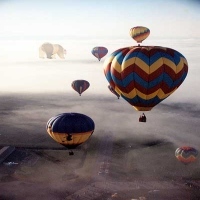 Enjoy a balloon ride with Champagne Balloon Adventures, you will definitely enjoy sightseeing and be amazed by the spectacular views that 1000 Islands has to offer. A great vacation getaway in New York, 1000 is simply a perfect place to have a break. Have a balloon ride with Champagne Balloon Adventures and book your reservations today. A New York Getaway Experience Like No Other! One of the best tourist attractions of 1000 islands New York, Boldt Castle and Boldt Yacht House is an exceptional wonder that captivates your imagination and simply takes your breath away. The place offers great scenery for sightseeing where you can just spend your day relaxing and enjoy the fresh air. Come to Boldt Castle and Boldt Yacht House and see for yourself the wonders and the elegance of this magnificent structure. Among the most visited tourist destinations in New York, Niagara Falls is simply a great site to see. With its amazing natural landscape and the spectacular scenery you will definitely be at awe by this magnificent wonder of nature. A perfect place for sightseeing, Niagara Falls offers its beauty and its grandeur for everyone to see. Come to Niagara Falls and see this wonderful gift of nature. You will definitely enjoy your stay at this amazing place.